This faucet adapter for the BrewRO System will allow you to filter water from a sink faucet instead of the garden hose spigot. Water collection can take hours, which is why there's a convenient diverter valve that allows you to access the water from your faucet without having to disconnect the entire adapter. 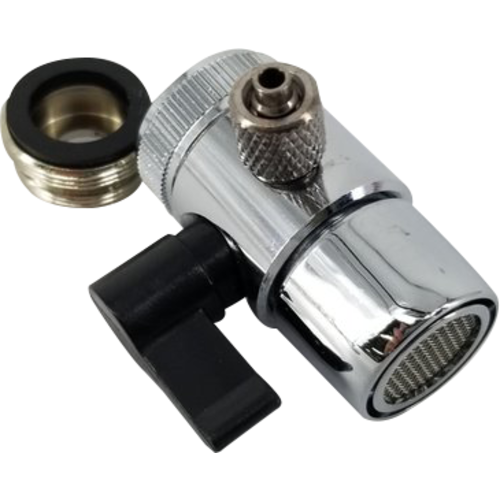 Uses a 1/4" compression fitting and comes with a male to male adapter.